Competitive Starcraft has a high barrier to entry, requiring a high level of proficiency in navigating the UI to even get started in online play. The new Axiom mod is a major revamp designed to significantly lower the game’s entry-level difficulty, allowing new players to hop in and have a much easier time coming to grips with the game’s systems without wrestling too much against the game’s peculiarities. Check out all the best strategy games on PC. Axiom offers major UI simplifications, putting all buildings, units, and research into three tabs accessible at any time, meaning you no longer have to select workers to build or find the appropriate building to create new units. There’s also a universal production tab letting you keep track of your construction at all times. You can also set universal rally points for certain types of units, and automatic control groups are there to help sort armies smartly. On top of all that, all units have seen their health doubled, lengthening fights and offering more opportunities for players to maneuver during skirmishes. You’ll also automatically get free workers up to a certain point, but you’re free to construct more. It’s a fascinating series of changes, and it’ll be interesting to see how the community takes to it over time, since Axiom is built around online gameplay with a regular rotation of maps that changes with the season’s pool. The question, of course, is how long people will continue to stick around, and if the accessibility changes continue to make sense at a high level or if players will feel the need to ‘graduate’ to the proper game. That’s especially true as the main game continues to see updates. 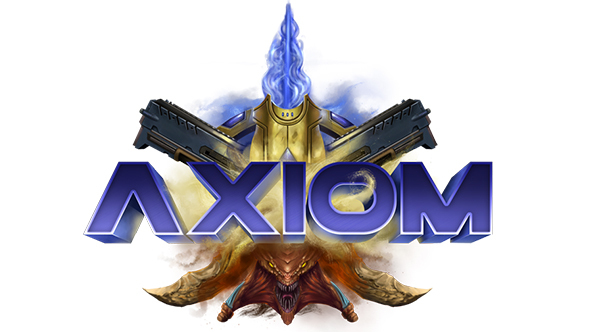 Perhaps most notably, Axiom is totally free whether or not you own Starcraft 2. It plays via the Arcade, which is available even in the Starcraft 2 Starter Edition. Axiom was designed by John “TotalBiscuit” Bain along with a team of fellow modders and developers.